I really need to get some sleep but my mind is spinning with thoughts about the past two days. 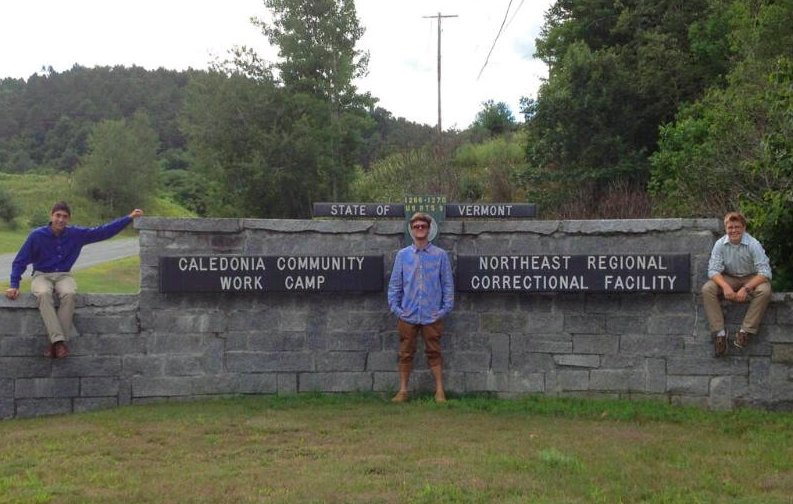 The Me2/ cello trio performed a total of three times yesterday in the St. Johnsbury and Newport correctional facilities, and gave one performance today in the Chittenden County facility. Tomorrow morning we leave for Springfield and then head down to Windsor, returning to Burlington in time for dinner. – The first prisoner to enter the room for our very first concert yesterday walked directly to a seat in the front row, plopped down, and said with a grin, “I played the violin for 5 years.” We immediately felt more at ease. – I giggled watching the prison guard carefully hold each cello and bow as Liam, Will, and Patrick went through the metal detector this morning. Seeing a uniformed officer with a cello in his hands was definitely a first! We’ve shared a lot of smiles and laughter this week in locations that we don’t normally associate with positive emotions. I promise to share more soon, and the trio members are all composing some thoughts to post on the blog, too. Thanks to everyone who has supported us and expressed excitement over our adventure this week! I’m so excited to hear about your travels! What an incredible contribution to others and an amazing experience for you all! Thank you to all of you for making a positive impact in this world!